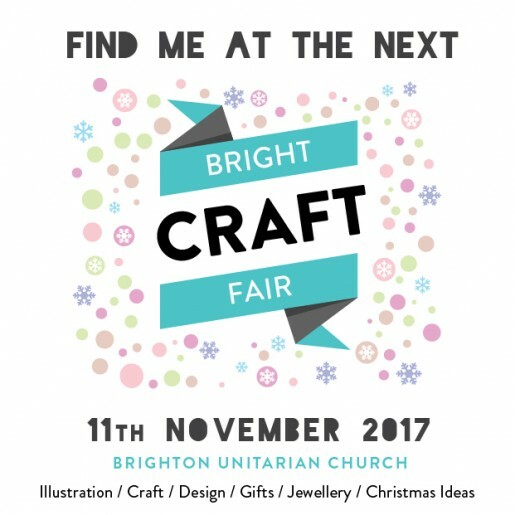 I'll be selling at the next Bright Craft Fair! Lots of local artists & makers. Saturday 11th November, 11am - 5pm. Unitarian Church, New Road, Brighton, BN1 1EY.